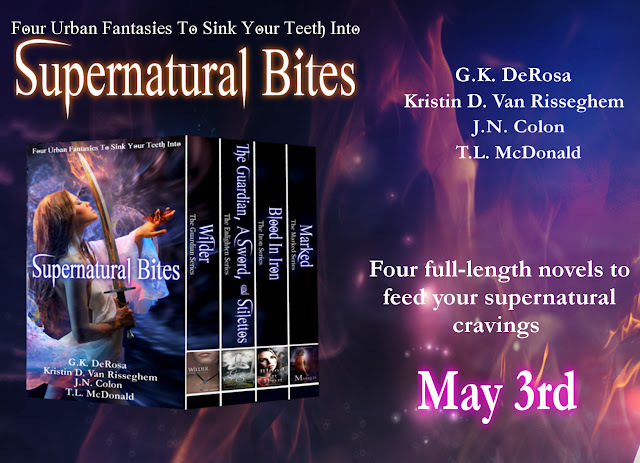 Our book bundle, Supernatural Bites, is out now. Get it on Amazon for only $3.99 or read for free with Kindle Unlimited. Our book bundle, Supernatural Bites, is out tomorrow! Join us, G.K. DeRosa, Kristin D. Van Risseghem, J.N. Colon, and T.L. McDonald, on Facebook for our Release Party May 3rd from 10 am to 9:30 pm (EST time). We'll be there as well as twenty guest authors giving away books and more. Click here to attend. You can't win if you don't go!